The original Coppergate Helmet, also known as the York Helmet, is one of only four Anglo-Saxon helmets discovered, to date. 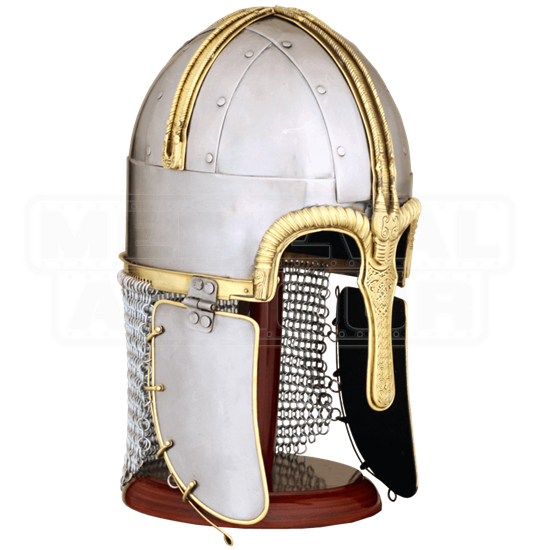 And now, you can own a fantastic and impressive reproduction of that remarkable piece, as this Deluxe Coppergate Helm. Like the original, this helmet consists of a rounded composite skull, with each element being riveted and secured together. Two cheek protectors hang down from the sides via hinges, while a mail curtain hangs down from the back, to offer protection to the wearers neck. Brass ornaments and fittings adorn the helmets crown and rim, while the large nasal guard is also finished in brass, and accented with carved letters and a small dragon head design at the apex. The helmet is made entirely in 18 gauge steel, and it is offered in one size. It comes complete with an adjustable leather liner, as well as with a chin-strap for easy and comfortable wearing. 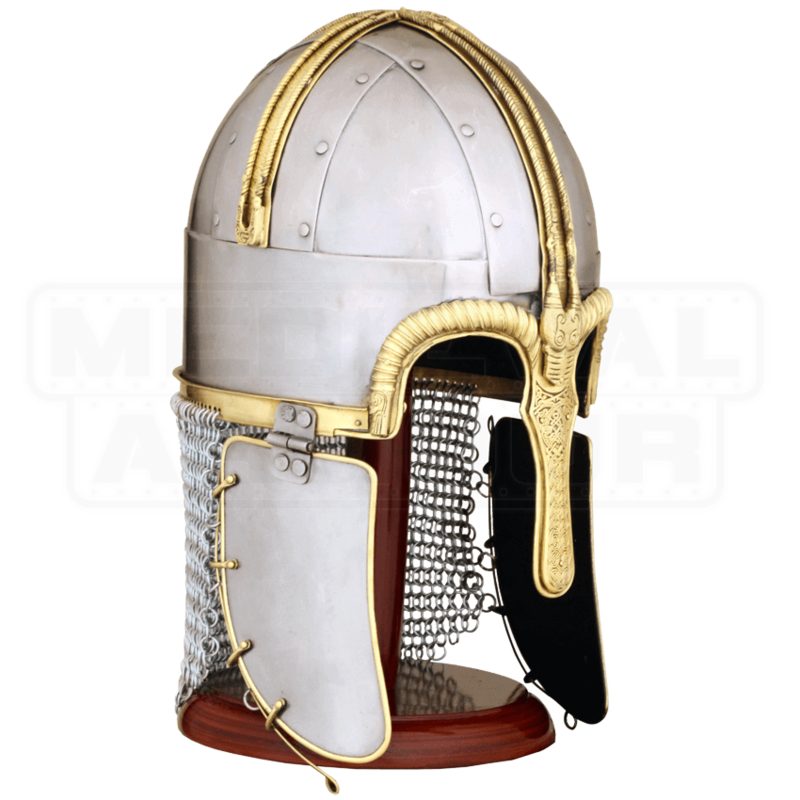 Based on an actual historical artifact, this Deluxe Coppergate Helm offers impressive and fine detailing, as well as an authentic style that is perfect for creating the most realistic looking of reenactment costumes and historical styles.